While Iceland may soon become the first nation in Europe to ban the circumcision of boys, Norway's Child Ombudsperson Anne Lindboe has hailed Reykjavik's human rights commitment, venturing that Oslo may soon follow suit. A bill currently under consideration by the Icelandic parliament states that circumcising young boys is a violation of children's rights, drawing parallels with female genital mutilations, which is already prohibited in many European countries. According to the Icelandic bill, circumcision performed for reasons that are not medical, can be punished by up to six years in prison. The Icelandic bill is already generating followers. Norwegian Child Ombudsperson Anne Lindboe is supportive of the ban for several reasons. "One is that the medical milieus in Norway have made very clear that circumcision of small boys is painful. It is associated with some degree of complications and there is no medical reason for doing so," Lindboe explained to national broadcaster NRK. According to Lindboe, men who have undergone circumcision at an early stage are known to experience problems and challenges later in life. She points out that they know that more men have experienced different problems and challenges following circumcision. "We also have a child convention that is unequivocal that children have the right to be heard and to make their own choices," Lindboe pointed out, venturing that one should wait for the boys to reach the age of 15-16 to be able to decide for themselves. By her own admission, Lindboe was positive that the ban would sooner or later reach Norway, but was unsure about the exact time. "It's another advantage to have other countries going ahead, so I'm rooting for Iceland," Lindboe said. Norway has previously mulled similar steps. In 2017, the right-wing Progress Party (FrP) supported a ban on ritual circumcision of boys, despite strong opposition from several delegates. In other parties, such as the Socialist Left (SV) and the Greens (MDG) proposals were submitted for introducing an age limit. 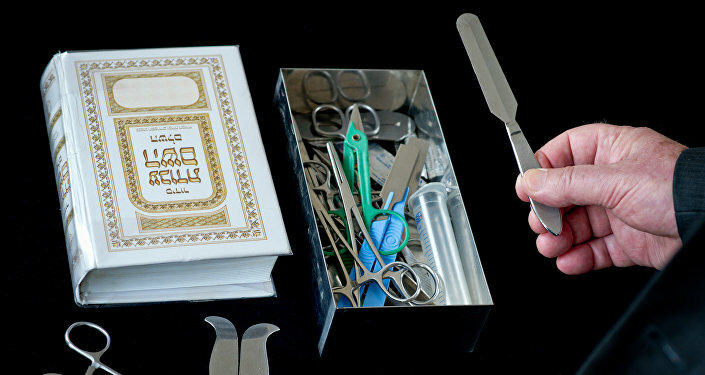 However, proposals to ban circumcision were met with criticism from Jewish and Muslim circles, where this practice is common, if not obligatory. Former leader of the Mosaic Community Rolf Kirschner, currently of the Oslo University Hospital, argued that the Icelandic bill was unfair to a tradition dating back thousands of years. "From my point of view, this discussion is unfair. The intervention certainly does not provide that big complications as described by many. I cannot see that this should be such a big problem that one should end up sentenced to up to six years in prison," Kirschner told NRK. He also opined that undergoing circumcision as a teenager or adult is "entirely different" compared to relatively newborns. In Iceland, the upcoming ban is likely to become a battleground over interpretations of religious freedoms, as Imam Ahmad Seddeeq of the Islamic Cultural Center of Iceland already called it a violation of human rights. The bill was equally condemned by the European Jewish Congress, which said that the bill was an "attack on Judaism" that would also serve as an "effective deterrent, guaranteeing that no Jewish community will be established in the country." Norway's Muslim community numbers over 200,000 people and has been growing exponentially in recent decades, exceeding 4 percent of the nation's total population of 5.2 million. By contrast, Norway's tiny Jewish diaspora numbers only between 700 and 1,200 people. Iceland's Muslim community has been estimated at 2,500 people out of 330,000. The nation's Jewish community, although ten times smaller, recently celebrated the first permanent Jewish Center and Synagogue in Iceland slated to open in Reykjavik.